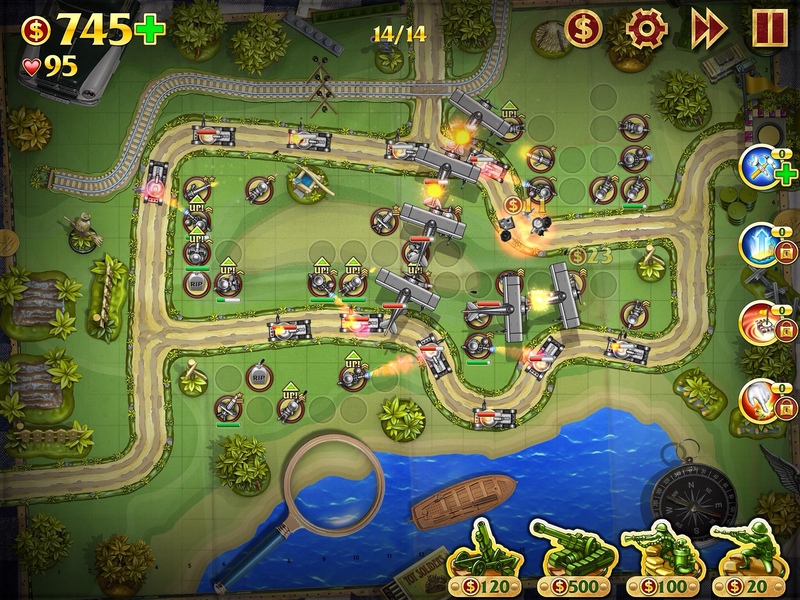 When it comes to tower defense (TD) games, you know the drill – to protect your base, you set up “towers” (whether they be plants or standard weaponry) to shoot down, slow down and eliminate “creeps” traveling along a fixed path. As I’ve said many times, the TD genre is a well-trodden path for many developers, but even with so many out there, few stand out. Toy Defense HD turned out to be a pleasant surprise. Not really a surprise in terms of graphics and design if you’ve played a game done by Melesta since their graphics are always polished and easy on the eyes. However, what makes a TD game good is really how it’s executed, and this is where Melesta made something fun, challenging and fresh. 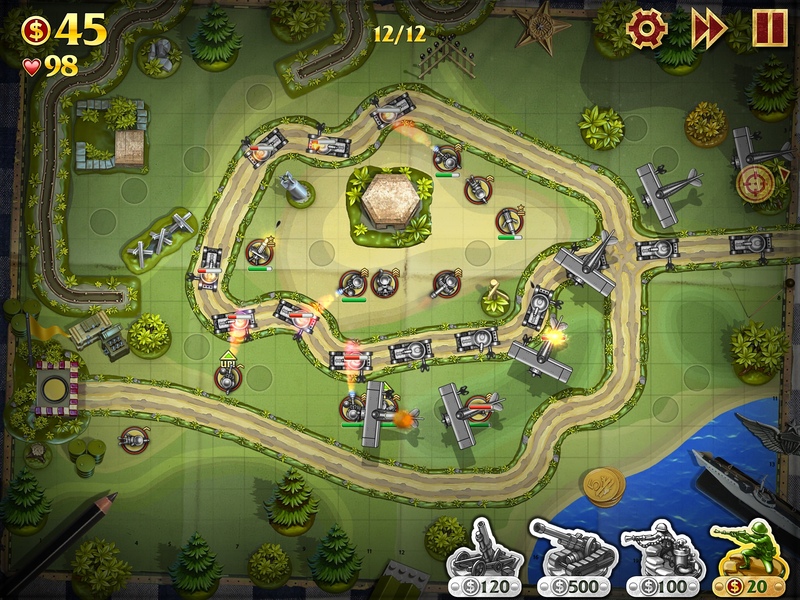 Toy Defense HD is like watching your childhood toys and weapons come to life (think G.I. Joe!). 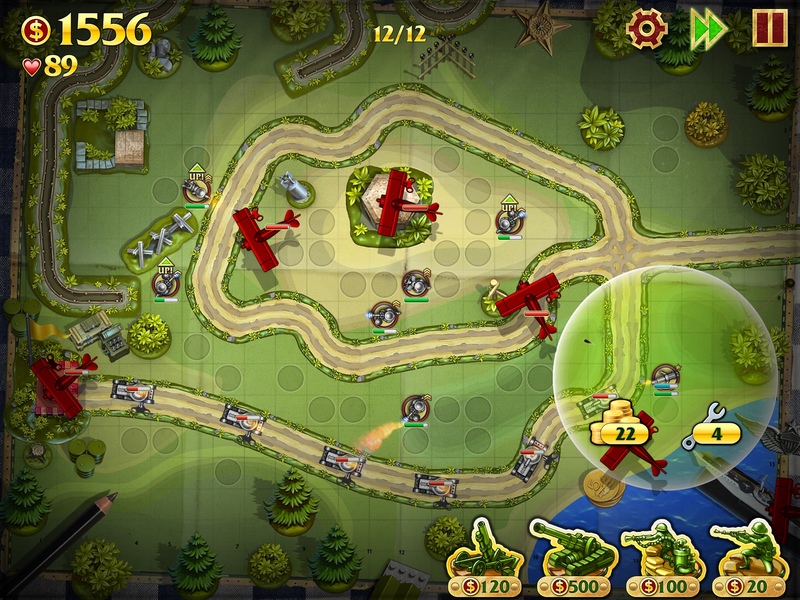 Basic TD mechanics are observed here, but unlike many games that let you put towers wherever you like, in Toy Defense you only have fixed locations to build your towers on. I normally don’t like that so much but in this case, it makes sense because a fixed location matters a lot to your strategy. An interesting twist – though not new, is that you also have to constantly repair your towers. Repairing them is time consuming and requires a lot of multitasking – in the middle of a hectic battle, it might be too late before you realize you have tombstones where your towers used to be. There’s a special power-up that allows simultaneous repair of all your towers for a specific time period, but you would need stars to unlock the ability (after the initial free one). Another interesting twist is that the towers need to gain enough experience before you can upgrade. After a successful mission, you can “save” your heroes (most upgraded units) and use them in the nexy game. You also have tower upgrades that require money to expand the range, unlock certain abilities and increase firing rate. There’s a second level however, in the latest update, that requires you to have enough stars to further upgrade a tower. The introduction of IAP as an integral element of gameplay, unfortunately, detracts from an otherwise excellent tower defense game. There are some games that offer IAP without dampening the gaming experience – an excellent example would be additional content or extra coins that don’t really require you spending real cash. In this case, the IAP does more harm than good. Is it possible to enjoy the game with the IAP? It can be done, but even without the stars upgrade before, the game was already quite challenging and difficult. Vital upgrades and power ups that take a long time to earn if you don’t spend actual money are, in my opinion, hallmarks of a less than ideal business model. A fair price, even though on the high side but lets us gamers work our way up, is, in my opinion the better choice. Thus, for the current price, be warned that you might end up spending more if you want to truly maximize the game. 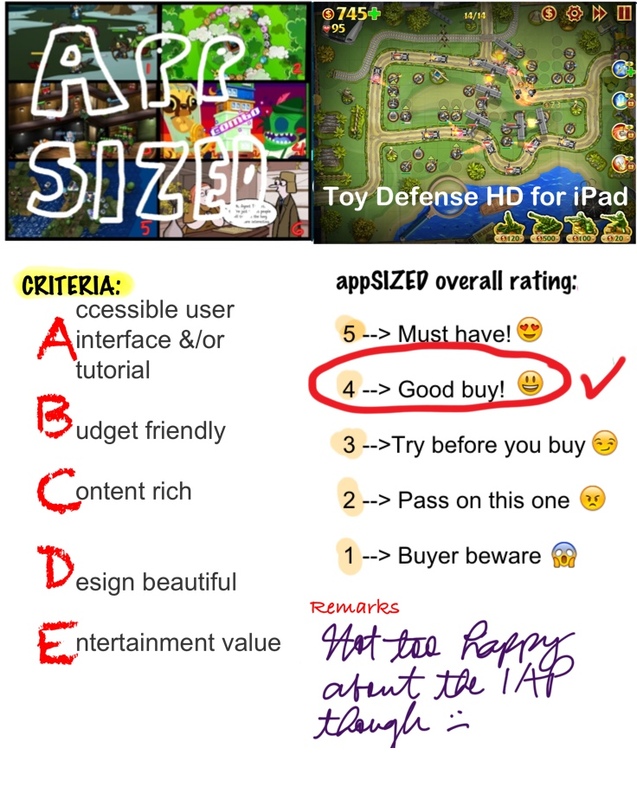 Despite the IAP strategy to get you to spend a little more, Toy Defense HD is nonetheless an excellent tower defense game, polished in terms of graphics and execution. I would still recommend it despite the IAP part, but you have been warned.